NORM DREW draws for YOU ! Official website of NORM DREW, animation producer, overseas supervisor, instructor, animator, writer, cartoonist and fine art painter. If you forgot your USER NAME, send us an email at this email address. and we will send you your user name, To RE-SET your password, at the bottom of the sign-in box above, click on the small text line ‘Forgotten your password?’. It’s an active link to the password reset module. It will then open a window where you can change your password. This website and all text, photos, art, animations, designs and cartoon characters created by Norman G. Drew (Norm Drew) contained herein are copyrighted and trademarked and are the sole property of Norman G. Drew (Norm Drew). 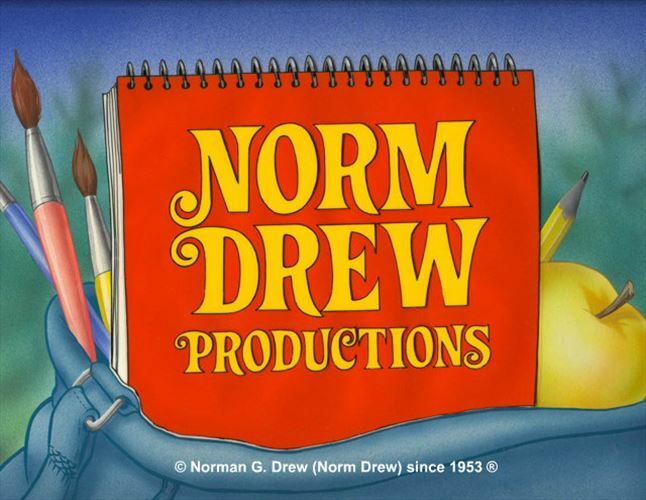 Reproduction of any part in any form without the permission of Norman G. Drew (Norm Drew) is prohibited by international copyright and trademark law. All Rights are Reserved Universally and in Perpetuity. For permission to reproduce material from this website for whatever purpose, contact Norman G. Drew.